When hospital porter John McGuinness won a £10 million (US$19.5 million) British National Lottery jackpot, he thought his good fortune would never end. Eleven years later, he is deep in debt, looking for a job and applying for public housing. Some say it's all because he accepted an invitation to join the board of a football (British soccer) club. Thanks largely to a disastrous £4 million investment in the lowly Scottish side Livingston FC, McGuinness, 44, owes more than £2 million and is about to have his house repossessed. 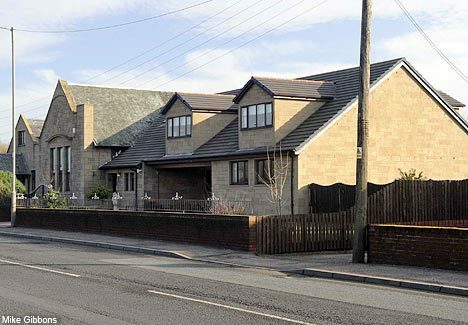 The Royal Bank of Scotland last month won a court order to take possession of the £500,000 family home and the father of four has reportedly been declared bankrupt over a £35,000 debt owed for a Porsche sports car which has now been seized. He is likely to be evicted following an appeal hearing in four weeks and meanwhile he is staying out of sight behind the gates of the converted schoolhouse in Larkhall, Lanarkshire. 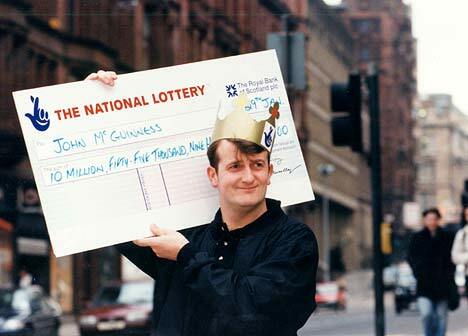 The extraordinary story begins in January 1997 when McGuinness hit the £10 million jackpot while earning £150 a week and sleeping on his parents' floor. 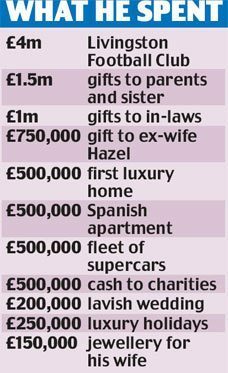 He lavished more than £3 million on close members of his family and gave £750,000 to his ex-wife Hazel. He swopped his battered old Vauxhall Astra for a £140,000 Ferrari Modena Spyder. Other cars followed and at one point he had six in the drive, including a Bentley, Mercedes, Jaguars and BMWs. He snapped up a £500,000 seafront apartment in Majorca, went on Caribbean cruises, five-star ski trips and vacations around the world. 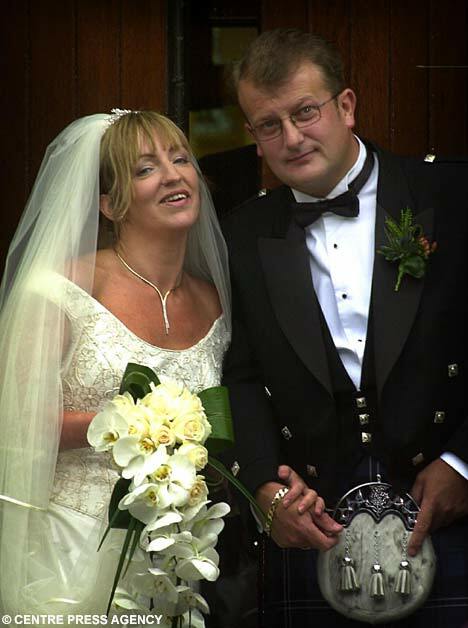 He also spent £200,000 on his wedding to Sandra in 2003. But the offer to join the board of second division Livingston proved to be his downfall. Although he helped the club reach the Scottish Premier League and win the league cup in 2004, success on the field was not mirrored financially and it crashed into administration. McGuinness had used his personal fortune to guarantee club loans and they were called in. With huge legal costs adding to his debts, he owes £2.1 million to the Royal Bank of Scotland and is said to have no money left. Even his house will only pay off a fraction of the debts. Sandra's parents, who live in a small house on the site, are likely to be made homeless too. McGuinness's cars and villa have had to go and expensive jewellery, including a Rolex watch, have been sold at cut-price rates. He and his wife are preparing to go back to work — something that was unthinkable just over a decade ago, when they had the world at their feet. Sandra, a former nurse, is said to have enrolled on a hairdressing course. A friend said, "John has been devastated by what has happened. In no time at all, he's gone from millionaire to someone who's had his car repossessed. "Sandra has an appointment with the local housing office to see if they can come up with [public housing]. "People might not like to think of John deserving a subsidised home, but his needs are as great as any other homeless person." Commenting on his disastrous football investment three years ago, McGuinness said, "I probably was a bit naive and perhaps made a mistake but I got involved with the best possible intentions. "I just want my life to get back to the way it was before — but minus the football. "People see me and see a really quiet chap who might help people out. But I have learned a great deal from the experience, which I suppose is a positive thing to take out of it."